Metabolic syndrome is a group of risk factors that includes high blood pressure, high blood sugar, high triglycerides, low HDL cholesterol and belly fat that increase risk of heart disease and diabetes. Hyperglycemia is abnormally high blood glucose (blood sugar) levels, which is the hallmark of diabetes. Diabetes is a disorder of metabolism, the way the body digests food for growth, energy and proper function. 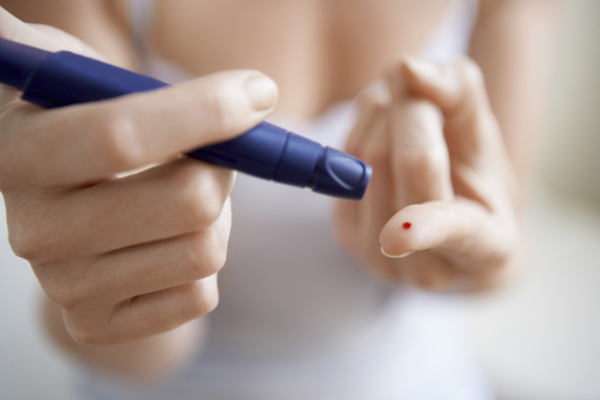 There are three main types of diabetes: Type 1 (autoimmune where pancreas is attacked by the immune system affecting production of insulin), Type 2 (where body doesn’t use insulin properly and glucose levels increase that can result in Type 1 with time) and gestational diabetes (occurring during pregnancy). If left untreated, Metabolic syndrome and hyperglycemia can progress to Diabetes. Labs are ordered to assess and diagnose Metabolic syndrome and Diabetes. Medications are commonly used to treat glucose control. Since one condition leads to another, we need to focus on the factors that trigger hyperglycemia, Metabolic syndrome and Diabetes. The common denominator of these three is high glucose levels. Everything we put in our mouth affects our metabolism, so it is only natural that we would focus on diet. There are foods that naturally increase glucose levels and others that help regulate. Naturally, if we eat foods that contain sugar, they will increase blood sugar levels as is the case with candy, soda, bread and other foods that contain refined carbohydrates, which break down to glucose. The body cannot distinguish between glucose from candy and glucose from an apple, though there are other nutrients and fiber in an apple that help regulate blood sugar levels. What we use to regulate glucose levels and improve overall function include lifestyle modification including exercise, decreasing stress, supplementation, acupuncture and others. Full commitment to one’s health, incorporating an individualized treatment plan can often reverse these conditions.